Where can we get spiritual guidance? Most people do not realize that guidance can come from a variety of sources. Many people pray and speak to God and Jesus, but guidance can also come from angels, ascended masters, our human and animal departed loved ones, and animal spirit guides or animal totems. At other times, people need closure. But overall, think of your spiritual journey as an opportunity to receive spiritual empowerment. How can we receive guidance? Many people do not realize that all you need to do is ask for their help. Angels, ascended masters, loved ones and animal spirit guides can help us on our path, in any area of life. They are by your side right now, like life coaches, just waiting to help. There is nothing to be afraid of. It is quite beautiful to think of the support you have throughout your entire life. Animal guides are also called animal totems. They are animals that help to guide us in life. 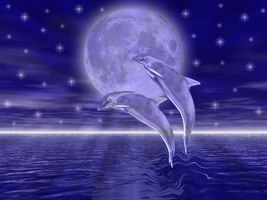 There are always animal spirit guides with us, but just like with angels, some of the guides are here for a brief moment to give us a message, and some are with us for life. How do you know what the messages are from the animals? Anyone can learn to hear messages from animals. We teach that in our animal communication classes. But many people think of just our “pets” helping to guide us. Our animals are definitely here to guide us, but so are the wild animals, whether it is a hawk, lion, elephant, snake or bee. Most people do not realize that if an animal appears multiple times in a row to you that a special message is being sent. For example, you see a wasp in your restroom for 3 days in a row and you don’t normally have bees visit your restroom, the wasp has appeared to you with a special message. You can look that message up by doing an internet search for wasp animal totem. Or it could be an unusual situation like a hawk swoops down in the road in front of you while you are driving – and that has never happened before. Look up hawk animal totem. How can an animal guide help you? Animal guides are here to help you. Just like the native Americans realized how valuable the animals are in our lives, you should, too. Just ask them to guide you in your life and they will. The key is keeping your eyes open and understanding that all things happen for a reason. Animal guides can provide incredible insights that will help to guide you on your path in life. How can we hear what guidance is being given? 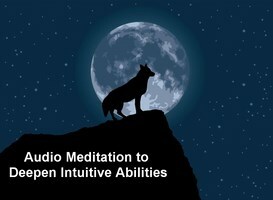 When you learn animal communication and energy work, that is just the start of opening your intuitive abilities. You can then ask and receive help from any guide, angel, ascended master or loved one. The Lightfoot Way is all about empowering people on their life paths. However, if you do not wish to take a workshop or are unable to, or perhaps you wish to receive more clarity, Kim can help you. We offer guidance and empowerment to people through their animals, especially animals that are in spirit. We offer guidance from loved ones that have passed. We work a lot with the angels. As the energies of Mother Earth are changing, so are the needs of people. We offer spiritual guidance from not only the animals, but also angels, ascended masters and loved ones that have passed. Offering guidance to others makes our heart and soul sing. If you are interested in a spiritual consultation, it is $175 for 5 questions with each additional question $35. This is done in a transcript format, not a phone call, because this is how we channel the information most clearly. You will complete a questionnaire, make payment and provide relevant photos. We will then email you a detailed transcript with answers to your questions. Learning Center members please purchase from your home page to access your discount. Nearly three years ago I lost my beautiful and extraordinary wife, Clare in a tragic accident. The loss devastated me. Kim has given me a precious gift by putting me back in touch with Clare. Now, there are so many things I can find answers to. And I have a guide and guardian angel for the rest of my journey in this world. Words fail me in describing how this has changed my life. Thank you, dearest Kim. Sessions are $175 for up to 5 questions with each additional question $35. If you wish to request a spiritual guidance consultation, please click here. Learning Center members please purchase from your home page to access your discount. If you wish to talk to your animal, whether alive or in spirit, please request an animal communication session.